Patreon update, we are teasingly close to $100. Patronage is an amazing and powerful form of support that gives me the confidence to do things like print collections and collaborate with fabulous folks. 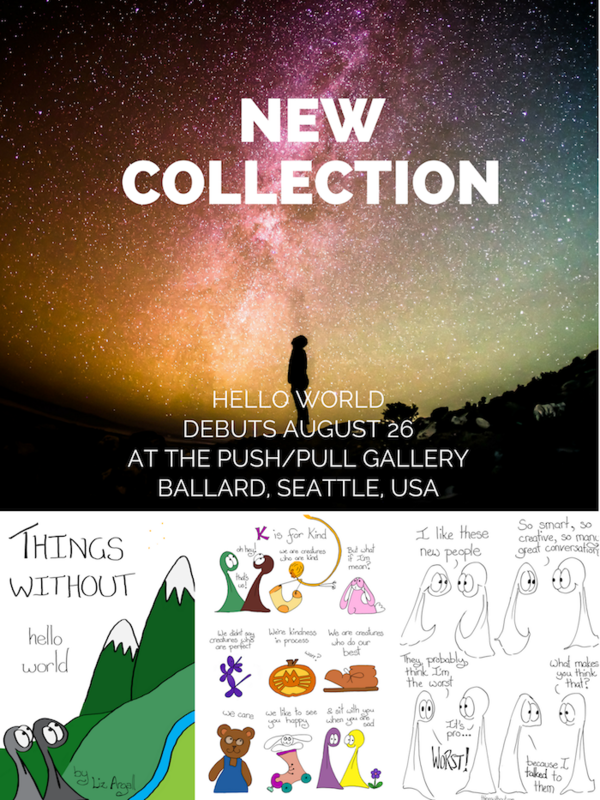 This SATURDAY at the Push/Pull Gallery Hello World will be released into the world. That’s from 12pm-6pm. It is a 36-page collection of the Things lovingly curated and edited by J.D. 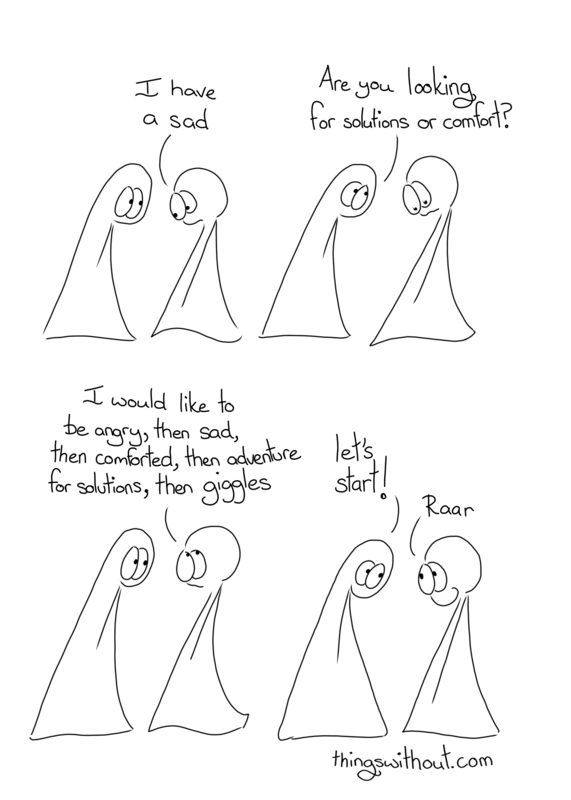 Lunt (editor/cartoonist When I Returned, Monk Funnies, Watching the Stick, Coping Mechanisms). It will also be for sale in my shiny new web shop! Isn’t it amazing how getting things done leads to getting things done leads to getting things done! Patreon, comic, web store, oh my!